If you liked this show, you should follow Nikki Rich. 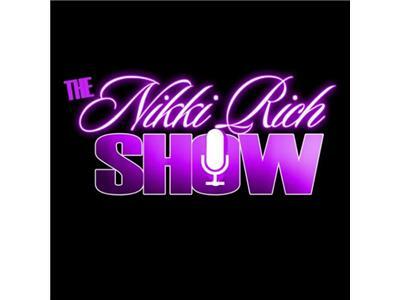 The Nikki Rich Show Welcomes Trina Braxton. Trina Braxton is the newest Braxton to get began her solo career with the Hit song " Party or go home"
Trina E. Braxton, the 5th child of Michael and Evelyn Braxton, is a multi-talented actress and singer. She has acted in Tyler Perry’s play, "Meet the Browns” as Tracy Stevens and was also part of the play “Rise”, written by Cheryl “Salt” James-Wray from Salt-n-Pepa and Christopher “Play” Martin from the rap duo Kid ‘n Play. Trina has appeared in “The Walk” with Eva Pigford and Vanessa Bell and has toured and traveled with several other plays. Plus, she’s co-starred in two independent films including “Jail Party” and hosted the un-broadcasted “Urban Idol” for UPN. Trina currently resides in Atlanta, Georgia with her second husband Gabriel “Gabe” and sons Eric, 16 years old, and Caleb, 13 years old.While in The Braxtons, Trina discovered her passion for songwriting and modeling. She often sings background for Toni while recording with her band “Simply Irresistible” at their studio “The Bass Mint” in Atlanta, Georgia.